The Gyeon Microfiber Suede cloths are the perfect towel to help apply a nice thin layer of your favorite coating! Each one of these suede cloths is composed of synthetic microfiber material that is ultra soft and features and extremely low nap. This allows you to soak up minimal liquid, in turn applying a nice thin layer to the surface. Pair with the Gyeon Applicator Foam Block and you have an elite coating application combo! i.e. 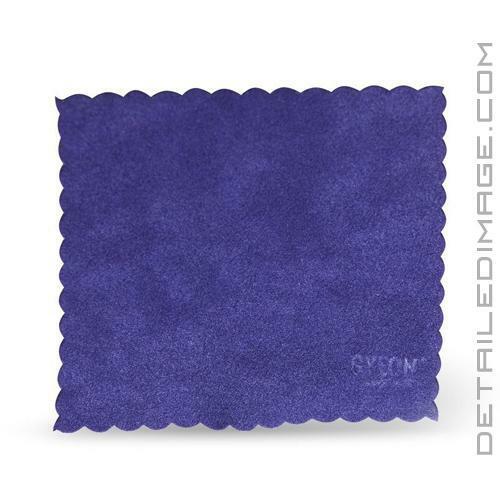 These Microfiber Suede cloths and the Gyeon Applicator Foam Block are the same units that come with various Gyeon coating kits. Ultra-soft, edgeless finish provides a smooth movement on the surface and minimizes the risk of uneven application! Our Q2M Suede fibers provide great performance when it comes to applying coatings and are also suitable for use with Q2 CanCoat. Their ultra-soft, edgeless finish provides a smooth movement on the surface and minimizes the risk of uneven application. Q2M Suedes are also great for removing the light mist after Q2 Repel has cured on windows. Washing with Q2M TowelWash is highly recommended.